The famous BhojPure kukri, whole heartedly loved by Nepalese with dragon carve furnished in the blade..
Dragon:: The Bhojpure kukri is craved with dragon on both sides of the blade and hence the name Bhojpure Dragon Kukri. This kukri is more a decorative piece however can be used as a working tool. Makers particularly from the “Newars” community of Kathmandu are involved in carving and sculpture culture hence most of the master craftsmen belong to Newar community. “Dragon” carving has no such significance it is carved to display the talent of craftsmen. The carvings are done by hand and besides dragon other pictures of interest can also be carved. It takes about 5-7 hours to get a dragon done in a standard sized blade. Khukuri: Bhojpur, a far eastern hilly village of Nepal where farming is the prime source of livelihood is famous for its khukuris (Local Production) since man first knew kukri. This ancient village produces number of khukuris of various types but its proto type named after the village itself “the BhojPure” introduced about a century ago is the most famous of all. Farmers used it and still use it to accomplish their daily domestic and livelihood activities that require cutting and hacking. 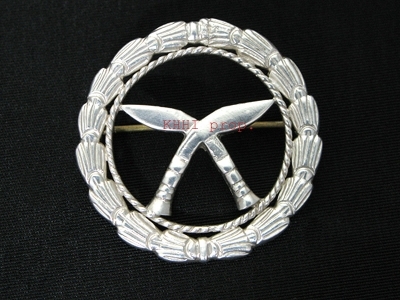 It is more than just a cutting knife for a farmer- in fact its his partner and his guardian. BhojPure because it is old and treasured khukuri has its own traditional and religious values in Nepalese culture. It is believed that a BhojPur khukuri would bring good fortune and prosperity when kept at home, it would also safe guard a home from evil and Satan spirits, would help a man sleep well when kept under his pillow, a bridegroom carries his ancestral BhojPure khukuri in his sash during marriage ceremony to represent his entire family and some typical families discard a BhojPure khukuri belonging to the dead man in his last rite believing it would scare away all evil spirits and take its master to heaven. 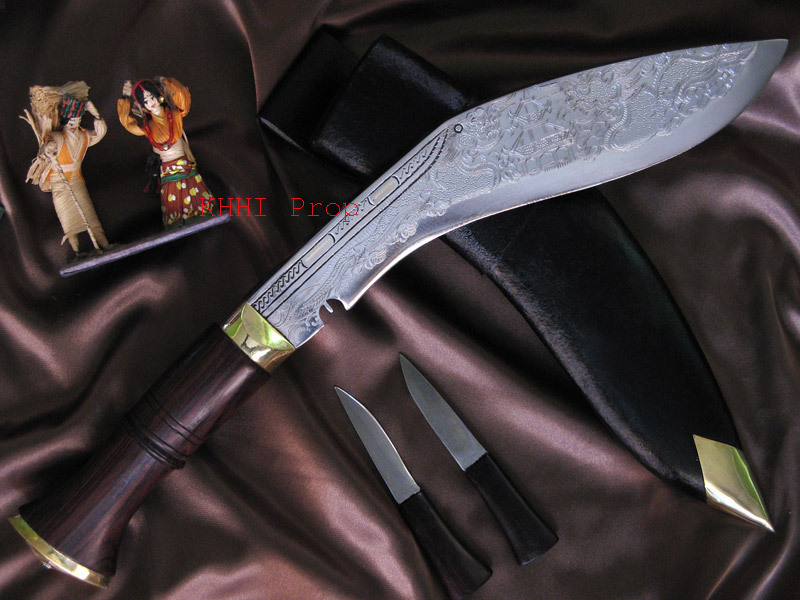 All most all Nepalese keep the BhojPure kukri at home primarily because of these above beliefs. A Bhojpure khukuri is wider and heavier than the standard army knives. The blade is also made thicker to ease and quicken the cutting action. Since it is basically a cutting knife it is kept/made very simple. BhojPure these days are the modernized version of its older counterparts. They have been better finished to give better look and appeal. A BhojPure is an outstanding working knife that can be also be used in rough condition. It also makes an excellent and unique gift since the knife is historic, iconic and has religious values. Heartily loved by all Nepalese.. I want to inform you that yesterday I received the package with BhojPure Dragon Kukri, and wooden stand. The Kukri is beautiful and I’m sure my friend will be very happy with this gift. I didn’t have any problems with the customs, everything went smoothly. Thank you again for pleasant business and best of luck in the future.